The Ferrari 312B was a series of Formula One racing car models, designed and built by Scuderia Ferrari. It was the successor to the Ferrari 312 and was used from 1970 until early 1975. Several versions were made: the 312B, 312B2 and 312B3. The early 1970s saw the return of success to the Scuderia; the unlucky Chris Amon left, while Jacky Ickx returned and was joined by Clay Regazzoni. 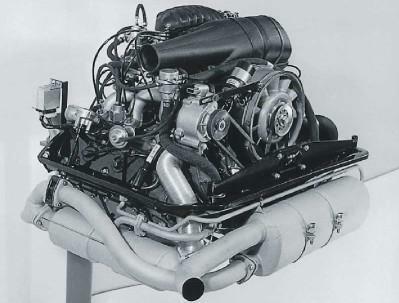 A Flat-12 engine, colloquially referred to as a "boxer" (although not a real boxer engine), was developed for use in the new Ferrari 312B, giving a lower center of gravity. During the design's first season, in 1970, Ickx battled with Lotus's Jochen Rindt and won 3 Grands Prix, while the emotional 1970 Italian Grand Prix was won by Clay Regazzoni, following the death of Rindt in the week preceding the race. In the remaining races, Ickx could not pass Rindt's point score for the drivers title, and Lotus won the Constructors Championship ahead of Ferrari. 1971 started with a win by new signing Mario Andretti, followed by another GP win for Ickx. Ferrari ultimately came second in the Constructors Championship, as Jackie Stewart and Tyrrell dominated the season. Ferrari 312B2, Salon RetroMobile, France. 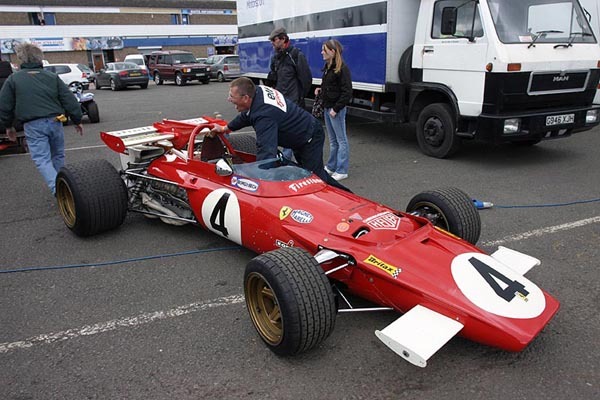 In 1972, Ferrari could not keep up with the progress of the competition, dropping to 4th at the end of the year. Ickx won the 1972 German Grand Prix at his favorite track, the Nürburgring, but this was to be his last GP win. The sports cars season was a success for Ferrari though, with the Ferrari 312PB based on the F1 car. In 1973 the Ferrari 312B2 was no longer competitive, and Ickx only managed one 4th place, at opening GP of the season. In addition to the sports cars, which were beaten by the French Matra, the F1 program of the Italian team was outclassed, and they even skipped some F1 races, notably the Nürburgring. This was not acceptable to Ickx, who left the team halfway through the season in order to contest the 1973 German Grand Prix at the 'Ring in a McLaren, where he took 3rd place behind the Tyrrells of Stewart and François Cevert. Ferrari signed BRM drivers Niki Lauda and Clay Regazzoni to rebuild the team in 1974. A new model, the 312 B3, based on a prototype called "snow plough" was introduced. 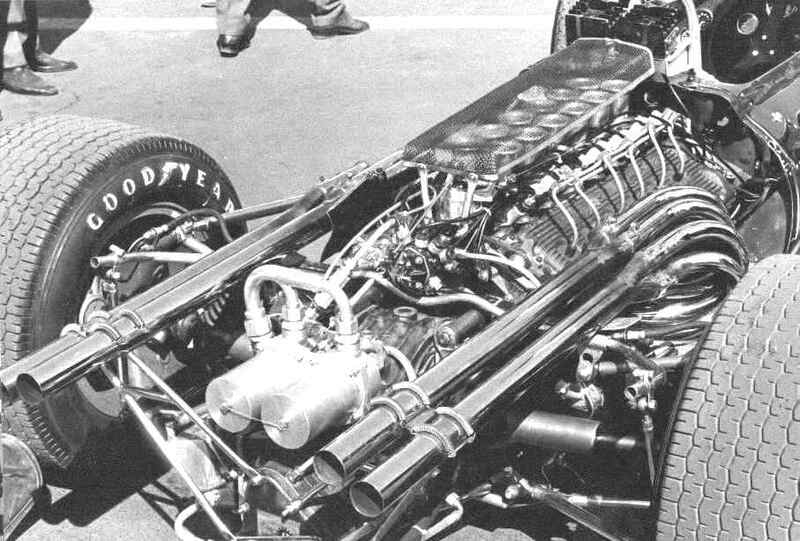 The car was succeeded by the 312T which was introduced for the 1975 Formula One season. Wheels:	Cast light alloy. front 10x13", rear 14x15"
The other side of the pillow has nothing on this car. Cool. OMG, this thing is so frozen because of it's 12 Volt Safa battery. In the first year of Ferrari’s test-then-assault plan, 312 PBs counted among their moderate successes the Clay Regazzoni/Brian Redman win at Kyalami. But in 1972, PBs dominated what was now called the Sports World Championship for Makes. 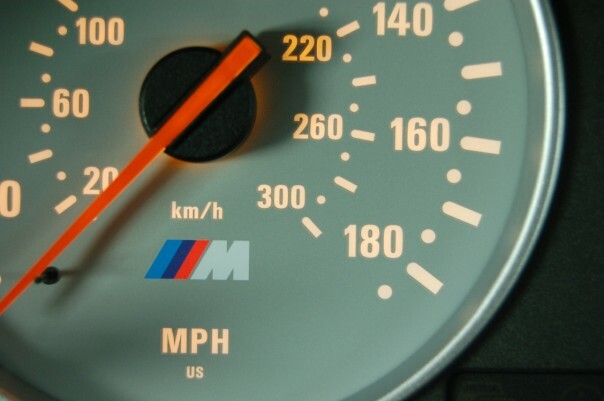 Every race they entered, they won. It started with a aboriginal by Ronnie Peterson and Tim Schenken at Buenos Aires. Jacky Ickx and Mario Andretti afresh went on a tear, acceptable the Daytona 6 Hours, the Sebring 12 Hours, and the 1,000 km at Brands Hatch. Regazzoni and Ickx were aboriginal at Monza. Redman and Arturo Merzario won at Spa-Francorchamps. Merzario and Sandro Munari accomplished aboriginal in the Targa Florio. It was Peterson and Schenken afresh at the Nurburgring, and Ickx and Andretti at Watkins Glen. Other PB victories included Imola and Kyalami. The Ferrari 312 PBs alternate appealing abundant banausic for 1973. Ickx and Redman were arrive at Monza and at Nurburgring, and while the car consistently dotted the top-10 finishers, Ferrari almost absent the championship. And that spelled the end of its full-works accord in sports-prototype racing. The Ferrari 312s, abnormally in PB form, beatific Maranello out of an endurance-racing era with its arch captivated high. Now the branch angry its absorption to Formula 1. Reposting stuff from howstuffworks.com...seriously uncool. Maybe some day one of the new posts in this forum section will actually be interesting! following the death of Rindt in the week preceding the race. followed by another GP win for Ickx.